Today we have bigger houses and smaller families; more conveniences and less time; we have more degrees and less common sense, more knowledge and less judgement; we have more experts, but more problems, more medicine but less wellness; we spend too recklessly, laugh to little, drive too fast, get too angry too quickly, stay up too late and get up too tired, read too little, watch too much TV and pray too seldom; we have multiplied our processions, but reduced our values; we talk too much, love too little and lie too often; we’ve learned to make a living, but not a life; we have added years to life and not life to years; we have taller buildings but shorter tempers; wider freeways but narrower viewpoints; we spend more, but have less; we buy more, but enjoy it less; we’ve conquered outer space, but not inner space; we’ve split the atom, but not our prejudice; we write more, but learn less; plan more but accomplish less; we’ve learned to rush, but not to wait; we have higher income; but lower morals; This is the paradox of our times today!! So we propose that you live everyday as a special day, spend more time with your family and friends, eat your favourite foods, and visit your favourite places you love; every minute, every hour, every day is special – do not delay anything and treat every day that you live as a special occasion!! 1. 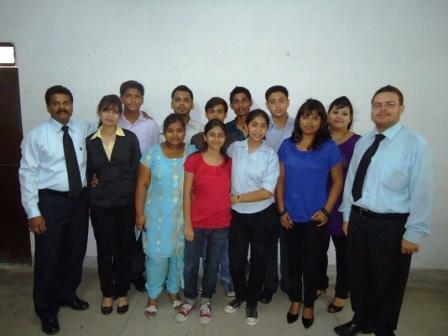 2nd August - World Anglo-Indian Day celebrations on Tuesday 2nd August 2011 at building No. 137 Patliputra Colony, Patna - 13 starting at 6 pm with a Thanksgiving Mass followed by family photographs of members, dance & dinner. Photographs of members and their families are being taken for the Ruby Jubilee Souvenir – therefore, you are requested to attend this function with your family. Please inform the Honorary Secretary with regards to the number of members attending latest by 29th July 2011. Anglo-Indian Guests (non-members) are welcome to attend our celebrations on payment of Rs. 100/- per head ( 5 yrs and above ). Please make the payment through an A/c payee cheque in favor of The All-India Anglo-Indian Association, Danapur Branch latest by 15th August 2011 with the required matter. The period of Lent not being enough, a BLOOD DONATION CAMP was organized by the Executive Committee of the Danapur Branch on the symbolic occasion of Good Friday on 22nd April, 2011. This all important event, which has been a tradition of the Danapur Branch, was well attended by its Members, both male and female. A special thanks to newly-appointed Vice-President of our Branch, Mr. Christopher Bachman (General Secretary of the Y.M.C.A. Patna), who called upon some of his members to donate blood, which went a long way in making this sacrificial and symbolic gesture a GRAND SUCCESS!! Arranged by Committee Member - Catherine Daniell, and organized by the Honorary Secretary - Mr.Tyron Lazarus, members of the Branch came to Kurji Holy Family Hospital at 8 a.m. to donate their blood for the poor and needy patients. The Kurji Holy Family Hospital Administration & Staff of the Pathology Lab. of the Hospital were overwhelmed by the turnout and expressed their gratitude to all present and, especially the Danapur Branch, who year after year conduct this Blood Donation Camp for the Poor and the Needy. Great Going, Danapur Branch !!! Keep the Good Blood flowing !!! An Easter Gala Fete organized by the Baptist Union Church at their school grounds was held on Easter Monday, 25th April, 2011. Once again, a Very Big Thanks to newly appointed Vice-President, Mr. Christopher Bachman, who arranged for the Danapur Branch to put up three stalls – One Food Stall and Two Games Stalls to raise funds. With the Executive Committee Members and the Youth Team Members fully charged after the success of the Easter Ball the previous night, the Fete (Mela) was the ideal function to show their Strength, Unity and Commitment to enjoy the JHA``MELA”!!! And, what a MELA JHAMELA it was!?! At the food stall we were serving out Chicken & Vegetable Momos, prepared by Terence (Terry) Smith. On the right and left were stalls serving out European Pancakes, Chinese cuisine, as well as, desi Chaat etc. In the Games Stalls we had Coconut Shys and Ringing the Prizes. Starting at 4.00 p.m., after a short prayer by the Pastor of the Baptist Union Church, people started trickling in. After an hour, things were not looking too good. The Games stalls were doing well but the Momo stall was crying for MORE-MORE! After half-an-hour, the JHAMELA started. Dark clouds had been gathering overhead since 04.30 p.m. and all of a sudden there was a downpour!! The people lugged it out to the safety of the Church Portico, while the stalls had to shut down due to the strong wind and heavy downpour. The Committee and Youth Members darted for the Don Bosco Academy School bus holus-bolus, momos ‘n’ all. Due to the sparse parking space, it was not possible for the bus to move out of the premises, which turned out to be a boon. When there was a slight let up in the rain, the senior members decided to sell the momos, as a large quantity of it was still left. People who had come to enjoy the Fete also did not leave, as they too wanted to enjoy the Fete, inspite of the inclement weather. That was all we needed!!! With Terry Smith, Adrian Blaquiere, Donald Cowell and Derek D’Souza, handling the stall in the open under a slight drizzle, the momos didn’t have to ask for more-more. They started selling like hot cakes!!! Finally, by 08.30 p.m., with almost all the momos being sold out, the members finally decided to call it a day and head home after a very memorable Easter Mela. Three Cheers to the new Youth Committee. This time around, the Executive Committee organized the EASTER BALL on 24th April with a difference!!! Each family had to cook a Special meat or vegetable dish with the Pullao being provided by the President, Mr. Eric de Rozario. Forget the tantalizing music and the frenzied dancing!?! The variety of food served, was sufficient enough to suggest that the members welcomed this idea and were very keen on showing off their culinary skills. The function which promptly started at 06.30 p.m. and well attended beyond expectations was truly a BALL!STIC SUCCESS! However, what is fast emerging as the future of the Danapur Branch were the youth, from tiny-tots to teenagers, bachelors and spinsters, these enthusiastic lot took to the floor as if they owned it. The Mummies and Daddies had to wait a long time for their turn to dance, but, not to be outdone, they too rocked to the music. Vice-President, Alan Cowell, and Hony. Secretary, Tyron Lazarus, who have become synonymous with music, left no song un-played as desired. With dinner served later, the night ended on a heady note with many moments to be treasured. A wonderful effort by the Committee Members and a Very BIG THANKS to all the members and their families who were present. 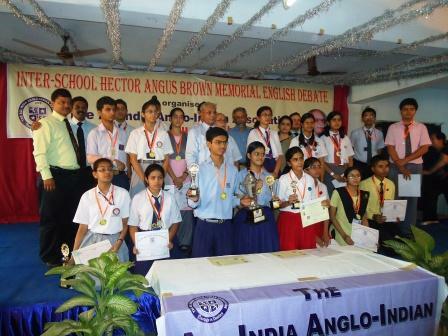 Organised and conducted by the Danapur Branch of The All India Anglo-Indian Association on the 7th of May at the Don Bosco Academy Hall, the 8th Inter-School Hector Angus Brown Memorial English Debate – 2011, was undoubtedly a HUGE SUCCESS! The fact that Ten teams from highly reputable Institutions participated in this Event this year( 2 teams registered on the very day itself! ), proved that not only has it become very popular, but it is also one of the most looked-forward to event in the Co-curricular Activities Calendar of all the leading schools of Patna. The Event started with the Hostess, Ms. Sarah D’Souza, welcoming the Chief Guest, Mr. Donald Galstaun (Founder & Director of the St. Karen’s Schools), Mr. A.G. de Rozario (G.B.M. & A.I. Representative for Bihar & Orissa), followed by the Jury, namely Ms. Marie McDonald (Retd. Sr. English Teacher), Dr. Marie D’Cruz ( Lecturer - St. Xavier’s College ) and Mr. Llewelyn Galstaun (Special Officer on Duty of St. Karen’s Schools). At the end of the hour-long display of oratory skills by the speakers, the members of the Jury, the Chairperson and the Chief Guest spoke on the occasion, and congratulated the participants, as well as the organizers for doing a wonderful job. Meanwhile the tabulation was being done by Mr. Derek D’Souza, Mr. Cecil Nashcarr and Mr. James Reid. Earlier, Mr. A. G. de Rozario, spoke about the great Hector Angus Brown and his achievements and his own personal relationship with him. Thereafter, it was time to announce the results. And the Winners were :– Promising Speaker – Tejaswini Pathak of Notre Dame Academy, Most Promising Speaker – Ayush Anurag of Don Bosco Academy, Best Speaker Runners-Up – Shrishti Prakash of Don Bosco Academy and the Best Speaker award went to Tricia Prakash of St. Paul’s High School. The Don Bosco Academy team bagged the “Best Team” Award, which is sponsored by Mr.Sudhir Singh, whose family was very close to the late Hector Angus Brown. The Winners were awarded Trophies and Special Certificates especially designed by Mr.Michael Daniell, while the rest of the participants were presented with Participation Certificates and Medals. The Event was concluded by a Vote of Thanks by the Hony. Secretary Mr. Tyron Lazarus, followed by the National Anthem. The special guests and members were treated to delicious snacks and coffee, while each participant and their representative were given snacks packets. All said and done, the Success of the Event was Blessed by the Heavens with a storm that lasted for almost 45 minutes just as the show ended ! So, should we call it – A STORMING SUCCESS ! 1. Hot dogs: Because they are high in nitrates, the Cancer Prevention Coalition advises that children eat no more than 12 hot dogs a month. If you can't live without hot dogs, buy those made without sodium nitrate. 2. Processed meats and bacon: Also high in the same sodium nitrates found in hot dogs, bacon, and other processed meats raise the risk of heart disease. The saturated fat in bacon also contributes to cancer. 3. Doughnuts: Doughnuts are cancer causing double trouble. First, they are made with white flour, sugar, and hydrogenated oils, then fried at high temperatures. Doughnuts may be the worst food you can possibly eat to raise your risk of cancer. 4. French fries: Like doughnuts, French fries are made with hydrogenated oils and then fried at high temperatures. They also contain cancer- causing acryl amides which occur during the frying process. They should be called cancer fries, not French fries. 5. Chips, crackers, and cookies: All are usually made with white flour and sugar. Even the ones whose labels claim to be free of trans-fats generally contain small amounts of trans-fats. 7. Consuming unhealthy cooking oil. As much as possible reduce cooking oil use when frying, which includes even the best cooking oils like olive oil Do not consume fried foods when you are tired, except if the body is very fit. 8. Consuming raw (overly done) foods also add to the burden of liver.. Veggies should be eaten raw or cooked 3-5 parts. Fried veggies should be finished in one sitting, do not store. We should prevent this without necessarily spending more. We just have to adopt a good daily lifestyle and eating habits. Maintaining good eating habits and time conditions are very important for our bodies to absorb and get rid of unnecessary chemicals according to a 'schedule’. 5. Air Pollution: The brain is the largest oxygen consumer in our body. Inhaling polluted air decreases the supply of oxygen to the brain, bringing about a decrease in brain efficiency. 6. Sleep Deprivation: Sleep allows our brain to rest. Long term deprivation from sleep will accelerate the death of brain cells. 7. Head covered while sleeping: Sleeping with the head covered increases the concentration of carbon dioxide and decrease concentration of oxygen that may lead to brain damaging effects. 8. Working your brain during illness: Working hard or studying with sickness may lead to a decrease in effectiveness of the brain as well as damage the brain. 10. Talking Rarely: Intellectual conversations will promote the efficiency of the brain. REASONS FOR SLEEPING AND WAKING UP EARLY. Morning 7 - 9am: absorption of nutrients in the small intestine, you should be having breakfast at this time. Breakfast should be earlier, before 6:30am, for those who are sick. Breakfast before 7:30am is very beneficial to those wanting to stay fit. Those who always skip breakfast, they should change their habits, and it is still better to eat breakfast late until 9 - 10am rather than no meal at all. but often we look so long at the closed door, that we do not see the one that has been opened for us……..
SUBJECT: HOW TO ASK YOUR BOSS FOR A SALARY INCREASE..? I kNOw you have been working very hard. NOw a days, NOthing much has changed. You must have NOticed that our company is NOt doing NOticably well .NOw the newspapers are saying the world's leading ecoNOmists are NOt sure if the United States may go into aNOther recession. After the NOvember presidential elections things may turn bad. I have NOthing more to add NOw. You kNOw what I mean . 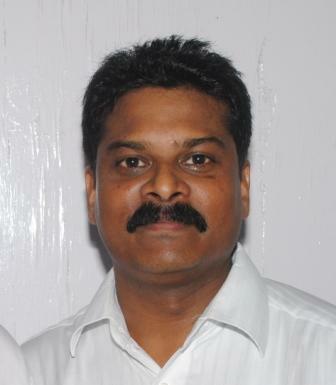 I am Shristy Prakash, a student of Don Bosco Academy, Patna and a contestant of the 8th Hector Angus Brown Memorial Inter-school English Debate – 2011. I have been watching the Hector Angus Brown Memorial Inter-school English Debate since two years and the third time that I witnessed it, lucky, I was a part of it. What amazes me the most is, that the standard of these debates is not met by any other school level debate. The wonderful neck and neck with the best two from those prestigious schools of the city is worth seeing. 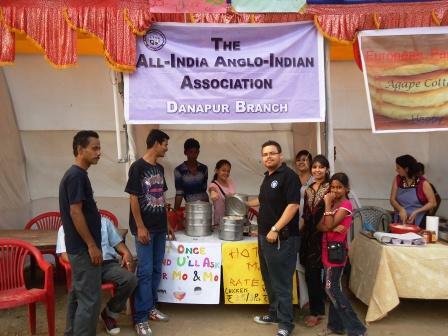 This year marked the 40th Anniversary of the The All-India Anglo-Indian Association - Danapur Branch and therefore, the beauty and excitement was in full swing. However, there is a suggestion I would like to make. I believe there should be a preliminary round involving more and more school before the final competition takes place. This will allow the participation of a greater number of school around and will certainly prove to be more beneficial for those other participating schools – as they will get a chance – and the rest of the school also – as they will get a good warm-up, because they will be more exposed to different types of topics. I wonder whether the city level can be followed by others, like Regional, National levels too. Anyways, it’s quite an achievement to have got such great judges to observe and criticize us and even greater achievement to be able to get Dr. Shanker Dutt every year, whose criticisms are particularly like because they are in a manner such, that “the cap fits all.” Also, it’s great that the topics of the Hector Angus Brown Debates are not generally easy ones, but ones that really force the participants to rack their own brains and the presentation thereafter is purely original. Finally, I would like to say that it’s an honour that this debate is held in our own school every year. The programme has been, and I hope it will always be, as unique and inspiring as always.